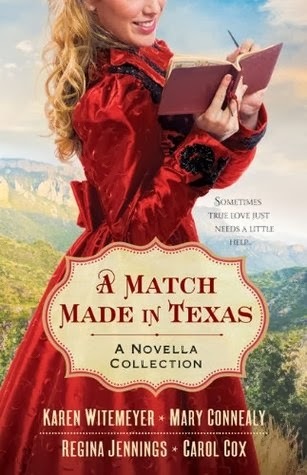 Only $1.99 for the entire novella collection of A Match Made in Texas! (Normally it's $1.99 per story). I rated this book 5 stars and absolutely LOVED three of the stories- read my review here. Definitely a great deal you don't want to miss! In the small town of Dry Gulch, Texas, a good-hearted busybody just can't keep herself from surreptitiously trying to match up women in dire straits with men of good character she hopes can help them. How is she to know she's also giving each couple a little nudge toward love? Neill isn't sure who hired him to repair Clara's roof--he only knows Clara desperately needs his help. Can he convince this stubborn widow to let down her guard and take another chance on love? Hoping to earn an honest wage on his way to the land rush, Clayton ends up on Grace's doorstep, lured by a classified ad. He may have signed on for more than he expected though--and he may have found the one woman who can keep him from moving on. Andrew can't fathom how refined Lucy ended up as the caretaker to his dotty aunt, and somehow her arrival has prompted even more bizarre occurrences around the ranch. When they join forces to unearth the truth, will the attraction between Andrew and Lucy develop into more? When the tables are turned and a tenderhearted meddler becomes the beneficiary of a matchmaking scheme, her world is turned upside down. As her entire life changes, will she finally be able to tell the banker's son how much she cares for him? Company's business methods have caught the notice of the wrong person, and pressure mounts for Amelia to retract her father's statements. Determined to find the truth, Amelia goes through her father's notes and begins to interview members of the community. She can't seem to shake Benjamin Stone, a Great Western employee who's been assigned to keep tabs on her for the good of the company. The more Ben and Amelia learn, the more Amelia's father's claims appear to be accurate. In fact, it's probably worse than he realized. Even Ben is beginning to wonder if he's become a pawn in the workings of a corrupt empire. But Great Western isn't about to stand for a female reporter and one of their own men bringing down their lucrative schemes. Working against time, and never knowing what danger lurks around the next corner, Ben and Amelia set out to reveal all they've discovered before Great Western silences them for good. Freebie alert! 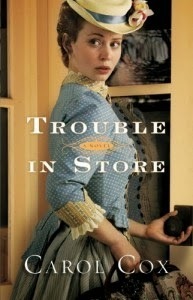 Get Trouble in Store by Carol Cox on e-book for free! Fired from her most recent governess position, Melanie Ross must embrace her last resort: the Arizona mercantile she inherited from her cousin. But Caleb Nelson is positive he inherited the mercantile, and he's not about to let some obstinate woman with newfangled ideas mess up all he's worked for. He's determined to get Melanie married off as soon as possible, and luckily there are plenty of single men in town quite interested in taking her off his hands. The problem is, Caleb soon realizes he doesn't want her to marry up with any of them. He's drawn to Melanie more every day, and he has to admit some of her ideas for the store unexpectedly offer positive results. But someone doesn't want the store to succeed, and what used to be just threatening words has escalated into deliberate destruction and lurkers in the night. When a body shows up on the mercantile steps--and the man obviously didn't die from natural causes--things really get dangerous. Can Melanie and Caleb's business--and romance--survive the trouble that's about to come their way? Only $1.99 for the entire novella collection from A Match Made in Texas! (Normally it's $1.99 per story). I rated this book 5 stars and absolutely LOVED three of the stories- read my review here. Definitely a great deal you don't want to miss! There's a secret matchmaker at work in frontier Texas! Today only! Download Love in Disguise and Trouble in Store by Carol Cox for only $1.99 each! Delightfully Engaging Blend of Romance, Suspense, History, and Humor! 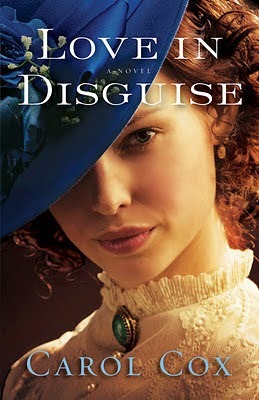 When costume-maker Ellie Moore suddenly finds herself out of a job in the middle of a bleak Chicago winter, she uses her knowledge of theatrical disguise to secure a position as an undercover operative with the Pinkerton Detective Agency. Her assignment: find the culprit behind the theft of silver shipped from the mines near Pickford, Arizona. Disguised as Lavinia Stewart, a middle-aged widow, Ellie begins her investigation. Soon she finds she must also pose as the dazzling young Jessie Monroe, whose vivacious personality encourages people to talk. Mine owner Steven Pierce is about to lose his business after the theft of several bullion shipments--until hope arrives in the unlikely form of Lavinia Stewart, who offers to invest in Steven's mine. In his wildest dreams, Steven never expected to be rescued by an inquisitive gray-haired widow . . . or to fall head over heels for Lavinia's captivating niece, Jessie. But then the thieves come after both Lavinia and Jessie. Ellie isn't safe no matter which character she plays! Will she be forced to reveal her true identity before the criminals are caught? What will Steven do when he discovers the woman he loves doesn't exist? 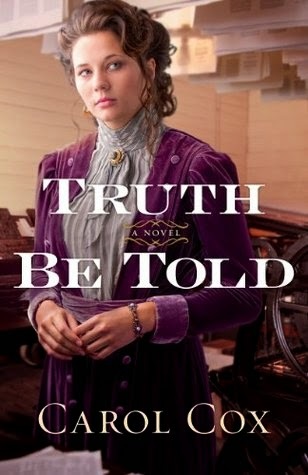 In Dry Gulch, Texas, 1893, a young woman with a tender heart that longs to help those in need takes it upon herself to meddle in the affairs of three acquaintances who are in dire straits. Wanting to stay anonymous, she relies on unusual methods to hire men and women of good character who she thinks can solve the problems facing her “targets.” How was she to know that her meddling would turn into a cupid’s arrow? And what will she do when her friends turn the tables on her with a matchmaking scheme of their own? Four novellas in one volume. I loved the first story by Karen Witemeyer! I was anxious read about Neill Archer, the youngest brother from her book Short-Straw Bride (which was wonderful). A sweet relationship developed quickly between Neill and the strong Clara, and the action from the plot was non-stop. There was a nice balance between moments of character development and romance, and the excitement really moved the story forward. The second story by Regina Jennings turned out to be my favorite. The unusual premise was so interesting and the main characters so vivid. Again, several sweet moments between them as their relationship developed, and the personality clashes kept things lively. Great romantic tension and chemistry! The last by Mary Connealy was a story of unrequited love full of emotion and tempered with a huge dose of humor, as usual. It was fun to read the story of the matchmaker and how the town conspired to make her match.